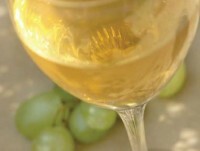 If you ask any winemaker what his or her favorite white grape is, it’s nearly certain that the answer will be Riesling. Truth is, while many wine consumers don’t understand and therefore don’t appreciate this charming and distinct varietal, winemakers adore it. They respect Riesling for its incredible aging potential, its adaptability, its versatility and its ability to maintain its unique varietal qualities, while still allowing terroir (a specific region’s soil, weather and geographic factors that influence the wine’s taste) to shine through. As a big fan of Riesling myself, I find one of its greatest assets to be its unique range of styles, from simple everyday quaffing varieties to richly concentrated, bold and complex dessert wines. The fact that this noble grape is such a chameleon and can take on different characteristics makes Riesling one of the most food-friendly varieties available. Off-dry, fruit-driven versions make the ideal counterpart for spicy cuisine such as Indian, Cajun, Creole and Asian. Riesling’s balance of ripe fruit (namely apple, apricot, peach and citrus), with its crisp, lively acidity, creates a great marriage with a variety of foods including baked ham, barbecued ribs, omelets, pork loin, honey-glazed carrots, sweet potatoes, roasted turkey, baked chicken, grilled fish (particularly in butter or cream sauce), seafood bisque, clam chowder, risotto, pasta Alfredo and grilled scallops. Likewise, the more austere, mineral and stone-laden Rieslings mesh well with raw oysters, steamed mussels, smoked salmon, sharp cheeses and sushi. Ah, then there are the truly blissful lush, ultra-intense dessert-style Rieslings, which are perfectly suited for foie gras, melons and charcuterie, crème brûlée, fresh fruit pies, apple tarts and creamy flans. Like most wines, Riesling will assume the attributes of the region in which it is produced, so when making your choice, place of origin should be taken into consideration. For example, generally speaking Rieslings from Alsace tend to be dry, graceful and well balanced with grapefruit, lemon zest, slate and limestone notes and lively acidity. New Zealand Rieslings are also generally on the delicate, dry, zesty side, but they tend to display nuances of peaches, pears and flint. While some Australian winemakers produce dry Riesling, the majority from down under are smooth, textural and characterized by a steely quality with fresh lime, peaches, apricots and honeysuckle. Fine examples of Riesling are made in the U.S., namely in California, Oregon and Washington, each of which primarily produce medium-bodied, round wines displaying ripe melon flavors. Some American winemakers, most often in Oregon, have opted to make dry Riesling, and these typically exhibit a floral quality with stone fruits, grapefruit and limestone. Washington is better known for its sweeter, more tropical fruit and honey-flavored late-harvest Riesling. Germany, Riesling’s homeland, and where it has been grown since the 1400s, is still the benchmark for this noble grape. Here, wines are labeled according to their sweetness level and range, from Kabinett, the driest, light to medium-bodied everyday wine to Trockenbeerenauslese, the intensely concentrated, honeylike dessert wine. The most planted grape in Germany, Riesling is revered for its highly aromatic bouquet, pure fruit flavor and most of all, its hallmark racy acidity. Classic characteristics include green apple, peach, pear, slate, mineral, limestone and delicate floral nuances. Thanksgiving, with its mélange of flavors, from candied yams to roasted turkey, is the ideal time to share a fine bottle (or two) of Riesling with family and friends. Now, if only our relatives would be as charming and adaptable!